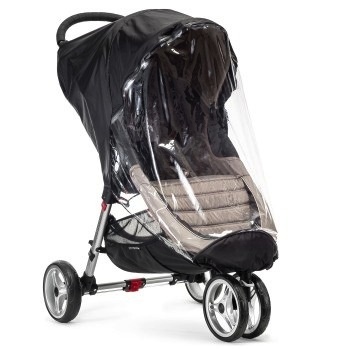 The City Mini™ Single Weather Shield keeps your child dry even when it's pouring outside. The zipped panel provides easy access to your child. The non-toxic, environmentally friendly materials block rain and wind with proper ventilation to provide a dry, safe environment for your little one.